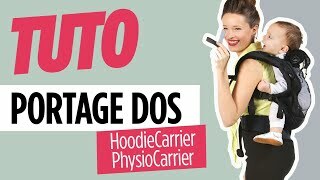 ⚠ You own a PhysioCarrier bought before 18/07/18? Order the free accessory for back carrying. Repost de @_nat_natou_ Tres pratique pour passer l'aspirateur tranquillement. Toujours un plaisir de la voir portée, pour elle comme pour nous. 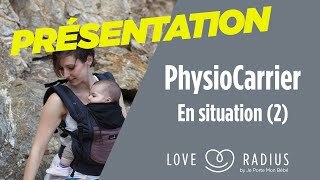 Même à 2 ans et demi, dans le dos en physiocarrier. 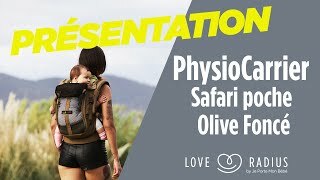 JPMBB launches an evolutive and four seasons baby carrier to carry on the front and side from birth* to 20kg, from 6 months for the back. 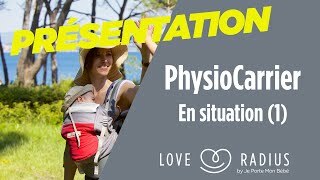 The PhysioCarrier packs JPMBB's dna into a soft carrier : physiological baby position, usability, comfort, colors. Design wise, users will find the famous pocket of the Original baby wrap and the artificial leather from the pad of Little Baby Wrap Without A Knot. The seat welcoming the Baby's posterior is shaped (not flat) and allows a slightly curled seat. This avoids the Baby's plating effect against its carrier. 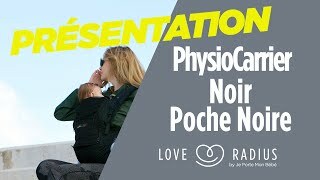 The opening of the pocket of the PhysioCarrier at the back of the Baby allows to ventilate the Baby and to adapt to any season. The transparency of the mesh allows to see the position of the Baby inside, anytime. The mesh head support holds the head while keeping ventilation and visibility. The extremely generous padding and breathable straps and waist provide comfort and an unprecedented lightness. • allows precise adjustment according to baby's age. The straps can be crossed. The back / shoulder strap has an elastic stop to promote the movement of carrier's shoulders while keeping the straps in place. • allows to elevate Baby once carried on the back. ◦ gives the adult a higher center of gravity and a feeling similar to a backpack. The neck pillow, to adjust to the smallness of newborn. What are the different uses of the head cover? Before the age of 4 months, Baby can’t hold his head up. You need to use the head cover. Later, it will come in handy when Baby is resting or sleeping. What are the different uses of the extension pack? The «Booster» extension pack with booster seat and removable headrest is perfect for carrying an infant. But it is also designed for a bigger baby, who gets a higher perch and a much better view over your shoulder. Simply do a machine wash, gentle cycle, and let it dry in the open air. No ironing, no bleach, no dryer! What are the differences between cotton and leather-like versions? The leather-like and cotton versions offer the exact same dimensions and features. The difference will be only cosmetic, depending on personal taste, for the shoulder straps and waist belt. You just choose the finish you like the most! "Pour le ranger c’est assez simple, je le roule et le range dans un petit tote bag. 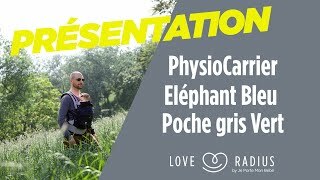 Il se glisse partout"
"prix raisonnable avec portage physiologique et confortable, mon coup de cœur de cette sélection"
"Si vous vous demandez quel porte bébé physiologique choisir, le choix est donc vite fait !" 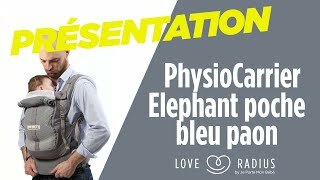 "Le PhysioCarrier vous apportera confort quelle que soit la météo. Alors plus d’excuses pour aller se balader !" 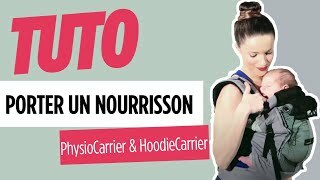 "Que ce soit pour un transport court ou long (randonnée comme nous le faisons), le PhysioCarrier nous a convaincus !" 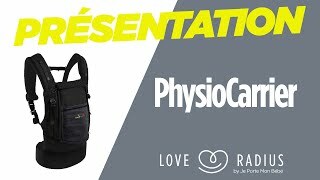 "Je trouve que le physiocarrier est un super préformé et qu’il a beaucoup d’atouts"
"I would say it’s the most comfortable carrier I ever tried." 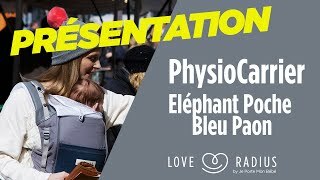 "cale-tête très pratique pour maintenir le bébé en douceur et le réhausseur amovible permet d’ajuster au mieux la position du bébé"
"le porte bébé parfait pour porter les enfants dès la naissance (et bien plus) mais qui ont peur de se confronter aux nouages des écharpes"
"It will SERIOUSLY help keep your baby cool"
"Personnellement, j’adopte avec joie !" "si je devais en conseiller un c’est celui ci sans hésitation"
"Il est beau, simple mais il a vraiment un petit truc en plus. Il est évolutif et dure vraiment longtemps." 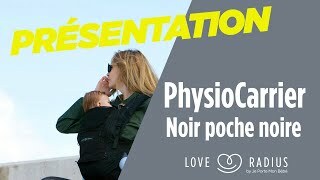 "all the JPMBB DNA into a soft carrier : physiological baby position, usability, comfort, colors"
"It kept me cool on very warm days"
"A stylish and uber-comfortable baby carrier for both parent and child"